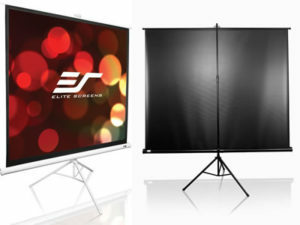 Are there different types of projector screens? Yes. 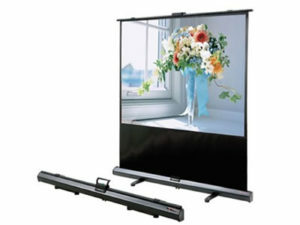 There are 2 main types of projector screens, a portable and installation. The screens usually come in 2 main viewing ratios of 4:3 (standard screen) or 16:9 (widescreen). What screen should I use? Depending on the type of presentation (video, PowerPoint, Spread Sheets), location and number of participants, you will need a different screen. For groups of people that meet in various locations, you will need a portable screen. 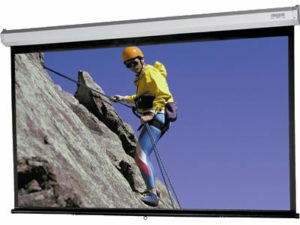 If you are looking to fit out a boardroom, classroom or a home cinema, you will need an installation screen. What viewing ratio should I use? As a rule of thumb, you use the 4:3 screen ratio for all your business presentations that include PowerPoint and Excel components and you will be able to display a video if your presentation requires such. The 16:9 ratio is used for boardrooms and home cinema/entertainment rooms as it provides the widescreen experience and combined with the right projector allows you to enjoy and appreciate the display to the fullest. What can Sight & Sound do for me? Tell us what you need the screen for and we will find the best matching one from the available array of choices. We will try and match your budget but will never compromise on quality of the product offered. 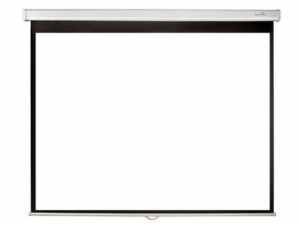 What is an installation projector screen? It is a type of screen that is designed to be mounted on the wall or ceiling. These can come as manual pull down, electric or fixed frame units. The manual pull down screen is operated by hand, where the viewing surface is lowered from its case by puling on a handle. It’s a bit like pulling down a blind over your window. It is a non-expensive solution for meeting rooms, classrooms and home entertainment. The electric screen is operated by a switch located on the wall next to it, or by an infrared remote. 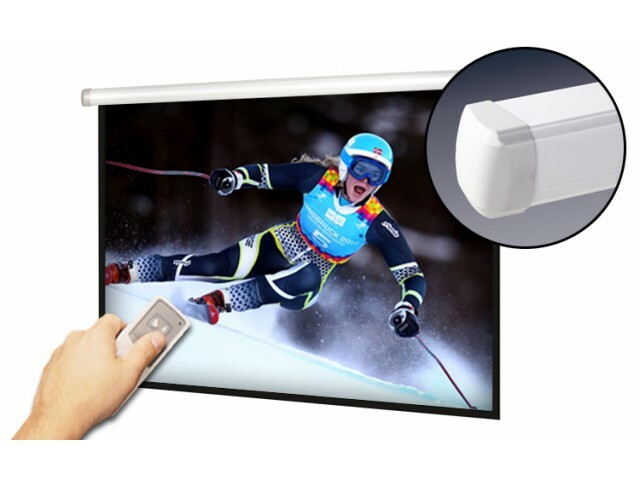 It is a convenient and elegant solution for any meeting room, classrooms or home entertainment area. The fixed frame screen has a special fabric stretched in an aluminium frame to create a viewing area. 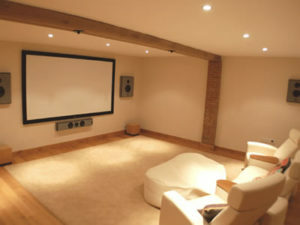 It is mounted on a wall in a dedicated home entertainment area or in a meeting room. Which Screen is Right For Me? It is your personal preference as well as the type and purpose of the presentation that determine the screen you will need. At Sight & Sound we will help you make the right choice. 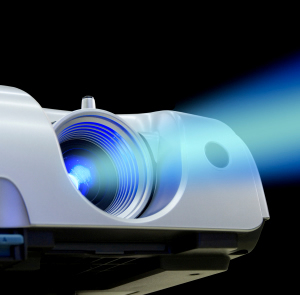 What is a portable projector screen? It is a type of screen that is designed to be easily folded and transported to any location. These come with types of floor bases, tripod and pull up. The tripod screen is designed for easy of set up and ultimate stability on any surface. It is very handy to carry around and the standard size will fit most cars. A standard size refers to 1.5m-1.8m wide screen and determines the length of the case. Perfect for business presentations, sturdy and robust for long lifetime. Pull Up Screen The pull up screen is another convenient solution for portable display. Quick and easy to set up, this screen makes an essential tool for every professional requiring presenting in different locations. It also doubles up perfectly as an excellent portable home entertainment display solution.